They say that involvement in sport is good for seniors. For senior teachers, involvement in coaching is the best of both worlds. When you retire as a teacher who has truly enjoyed the vocation of educating the next generation, you are left wandering and wondering – what next? There is this insatiable desire to teach, to inspire, to foster critical thinking, and so little time. You know, inevitably, that your teaching career has an expiration date. 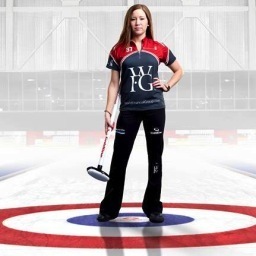 Enter Kaitlyn Lawes and her now infamous Rocks and Rings dance. 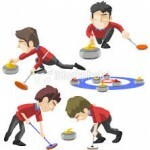 An entire generation of young curlers were inspired to take up a sport that had previously been the domain of the old heavy drinking white boy's club. Kaitlyn, and Team Jones competing against Team Homan, became role models for youth across Canada to pick up their brooms and sweep – HURRY HARD! The "tick" became the most practised shot in the country and high school and club teams began to renew their memberships. As a consequence, clubs needed coaches and the paper chase began anew. So here we are, teaching and coaching once again, with a wonderful group of Little Rock, Bantam and Junior Men and Women who will continue curling as a lifelong sport. We now have teams of young curlers developing into skilled competitors, and the resources provided by our provincial and national organizations are developing skilled coaches to support them. In our little corner of the world at the new King Curling Club, this "elder" teacher is honoured to be coaching another generation of rock stars. And the joy comes with realizing that it's all about the journey, not the destination. This entry was posted in Education by Skid. Bookmark the permalink.